Outrageous Outgrowns - The Bay Area's BIGGEST resale event for babies and kids of all ages! 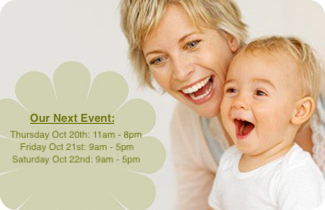 Outrageous Outgrowns is the Bay Area's biggest resale event for babies and kids of all ages! There are more than 70,000 items neatly organized - just like shopping at your favorite store! Join our mailing list to receive information about our upcoming events!